In the previous article, In the previous post I had a tutorial on how to use Putty to log into VPS . 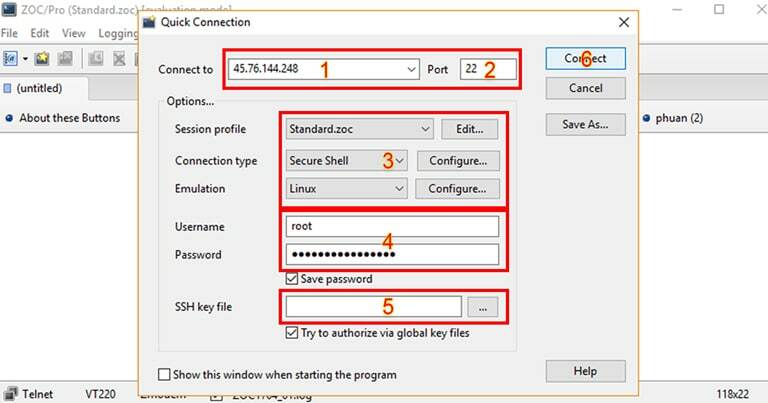 ZOC Terminal is also a tool that uses the SSH protocol to help you connect to the VPS and perform the installation, modification. Personally, I prefer to use ZOC Terminal more than PuTTY because it supports more functions, more secure (can set startup password) and most use Ctrl + C, Ctrl + V.
More about the program as well as download you watch on the homepage . If you need help , please leave a comment . Thanks and Good luck to you !